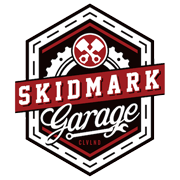 Skidmark Garage is a 10,000 sq. ft. community motorcycle garage where you can work on your motorcycle. They provide the tools, space, and community to assist you with your project.